After Roman Seleznev was arrested, several Russian officials used the local press to express their outrage. On July 7, U.S. authorities announced that Russian citizen Roman Seleznev had been detained on charges of fraud. According to the charges against him, between October 2009 and February 2011, Seleznev hacked into the computer systems of American retailers and stole credit card and bank account information, which he later sold. In March 2011, a court in Washington state indicted him on several counts related to the cyberfraud, but he was apprehended only on July 5. 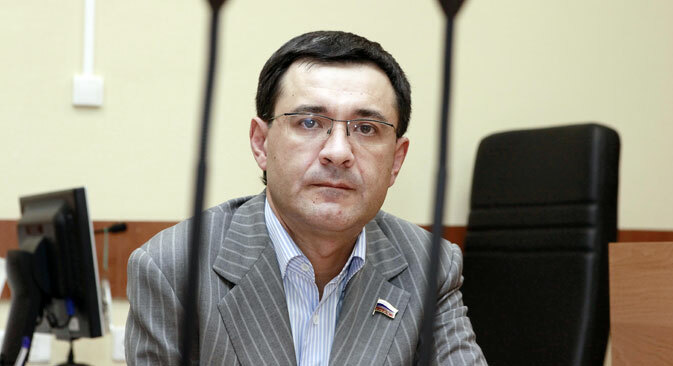 Russian website Gazeta.ru reported that State Duma Deputy Valery Seleznev confirmed that Roman Seleznev is his son, adding that he “was not detained, but kidnapped.” The elder Seleznev also claimed that his son could not have carried out the cyberattacks since in April 2011, Roman was attacked and suffered a traumatic brain injury. Whether or not this is true, Gazeta.ru noted that the charges relate to a period before the alleged injury. In an interview with Russian daily Kommersant, Russian Foreign Ministry Commissioner for Human Rights Konstantin Dolgov condemned the actions of the United States, saying that such moves violate international law. “It is typical handiwork of the American secret services; again this is done without notice of the Russian side in breach of a bilateral treaty on mutual assistance in criminal matters," Dolgov said. Kommersant also cited the first deputy chairman of the Duma Committee on International Affairs Leonid Kalashnikov, who called the situation "a legal disorder." Kalashnikov also criticized the U.S. State Department for breaking international laws. Kalashnikov noted that when two Americans were detained on similar charges in the past, Russia let them go even though they had clearly violated local laws. According to RBC daily, the Russian Foreign Ministry has called the incident an “unfriendly step from the U.S. side and continuing the illegal practice of abduction of Russians.” Relatives of the detained Seleznev claim that "any legal cases must be considered legally and not through kidnapping." In the pages of RBC, Russian political scientist Dmitry Oreshkin argued that the railing of Duma deputies against the West is a typical reaction for Russian politicians. "There is a fictional reality in which our Duma deputies ardently defend the interests of the people, and there is an objective one, when deputies gain their goals. They understand that it is better to teach children, to protect the rights, and spend old age in the West," said Oreshkin. Roman Seleznev is scheduled to appear in court on July 22. If convicted, he could face as many as 30 years in prison. This story is based on reporting from Kommersant, Gazeta.ru and RBC.